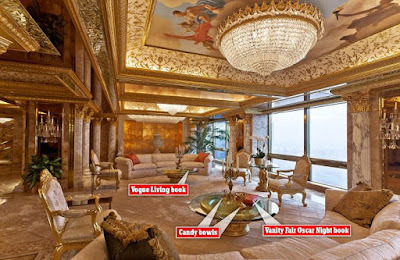 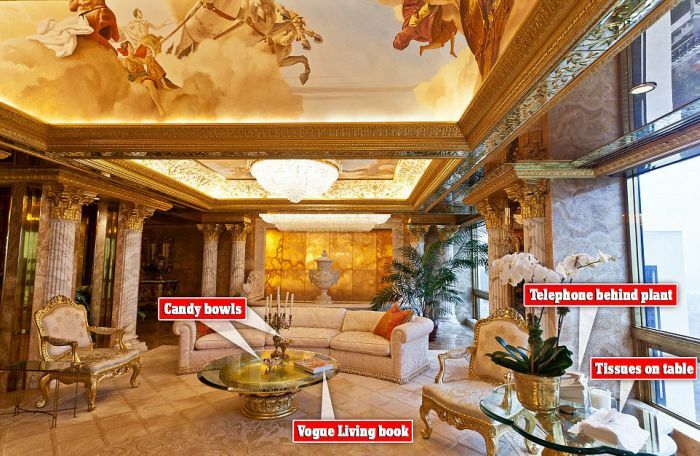 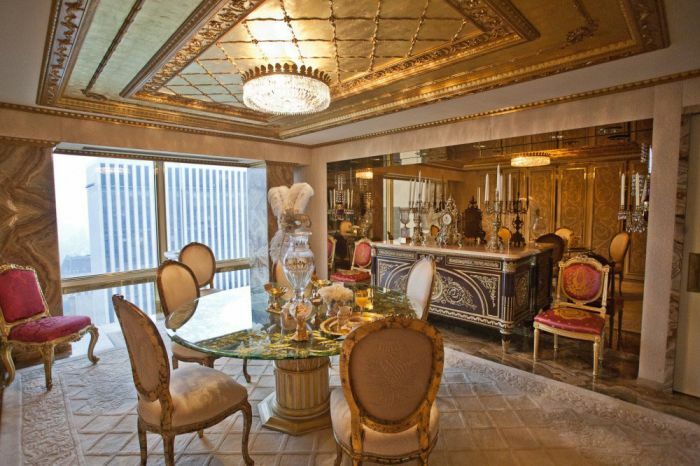 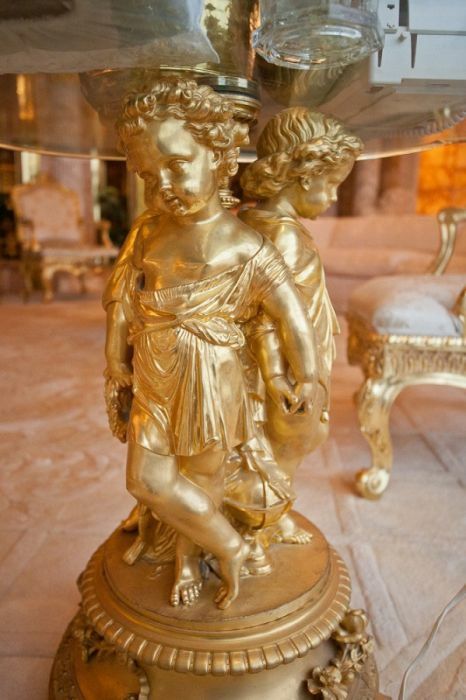 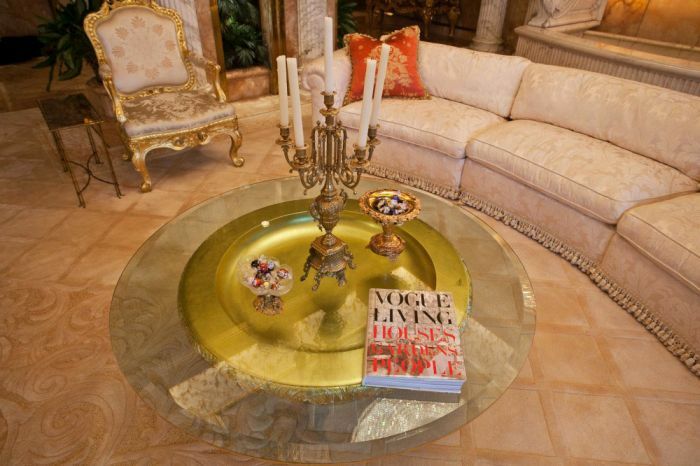 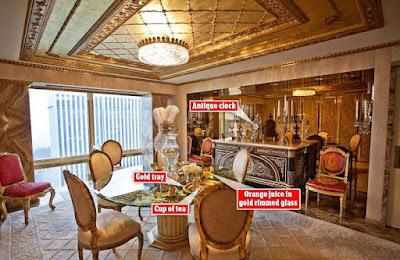 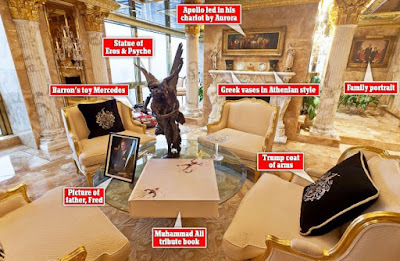 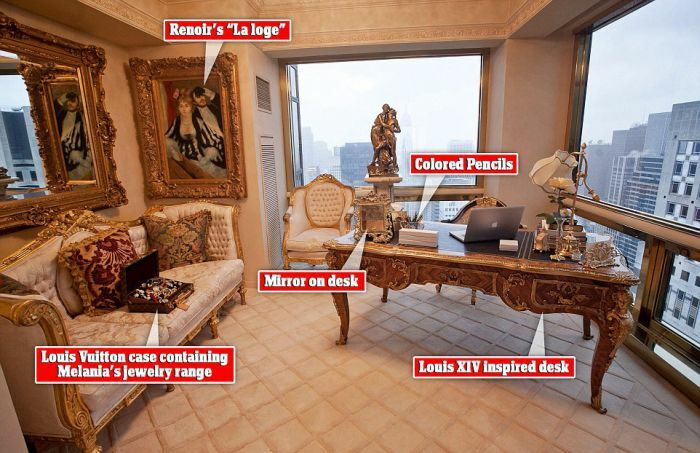 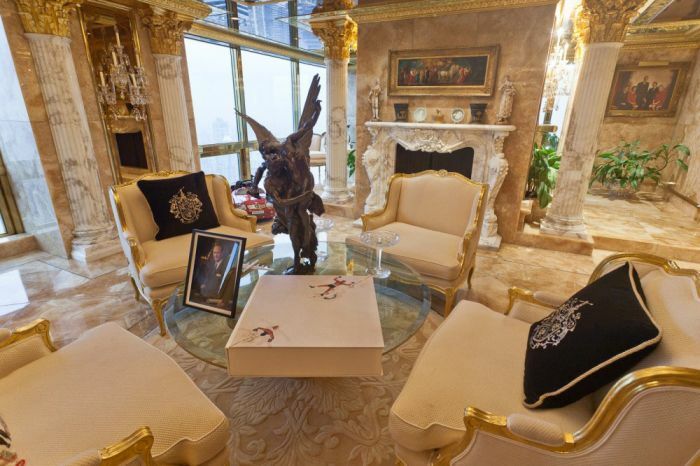 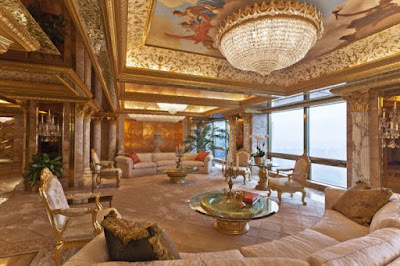 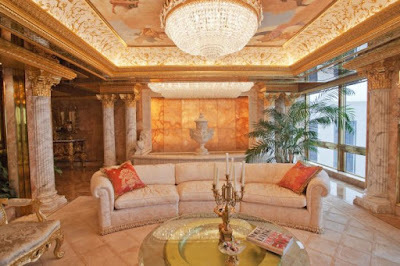 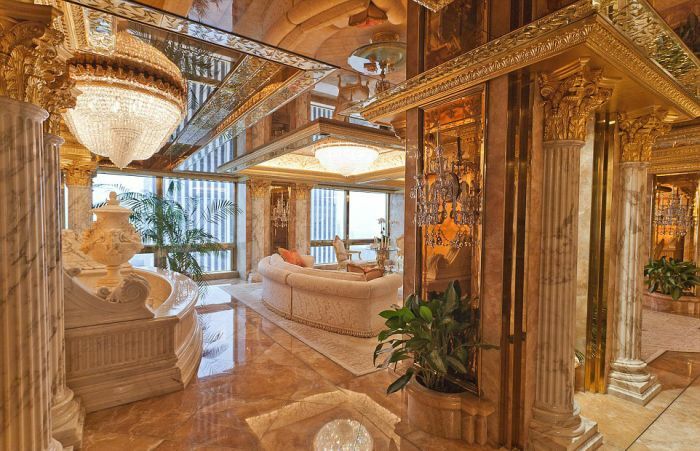 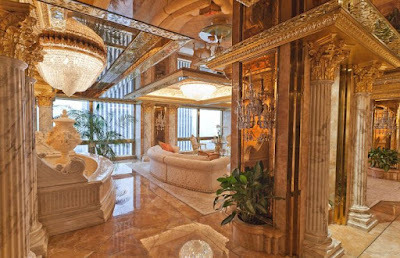 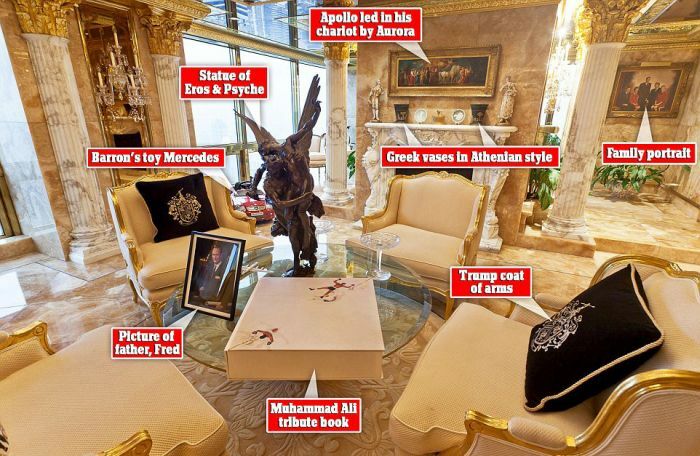 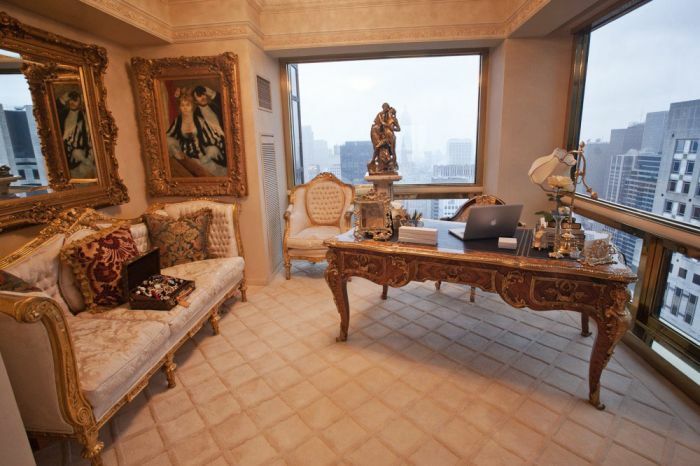 In 1983 designer Angelo Dong developed this penthouse for Donald Trump and his family. 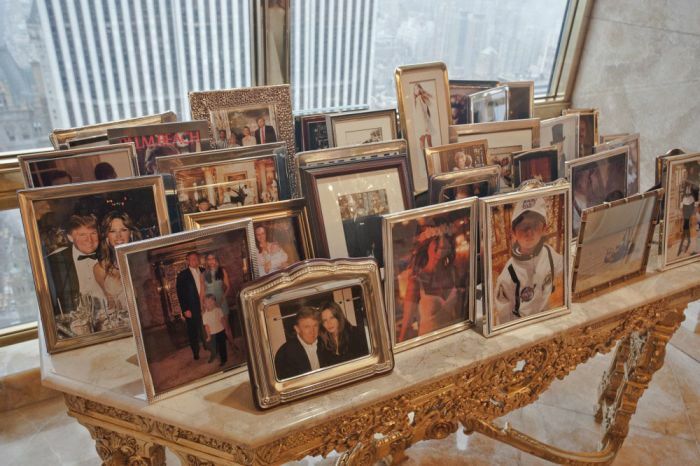 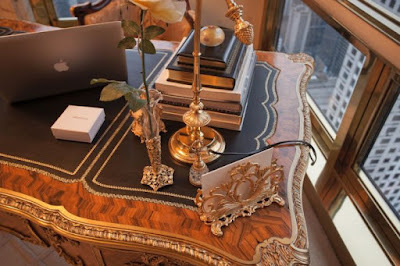 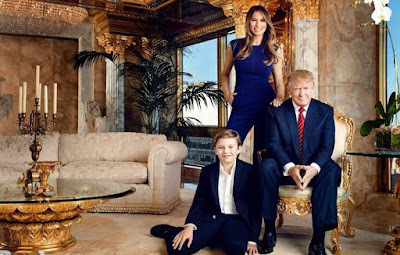 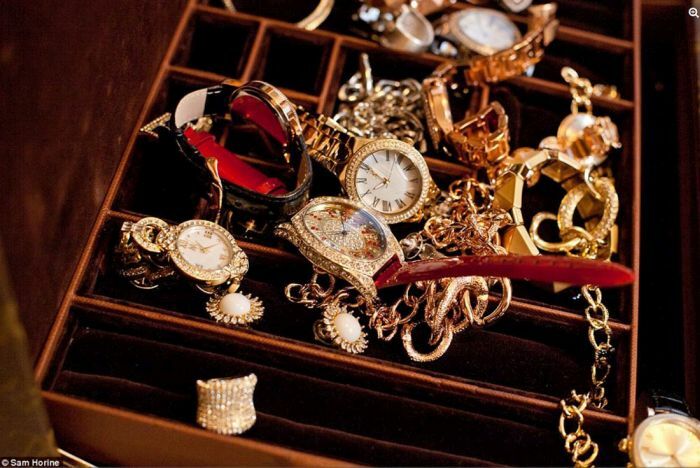 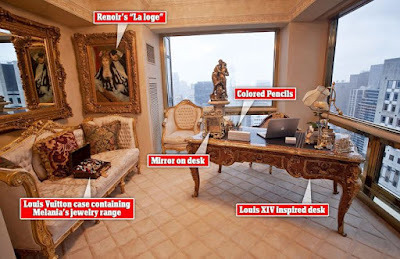 The apartment is located on one of the top floors of Trump Tower in New York city and Donald currently lives there with his wife Melanie and son Barron. The interior design of this place just takes tacky to new level.